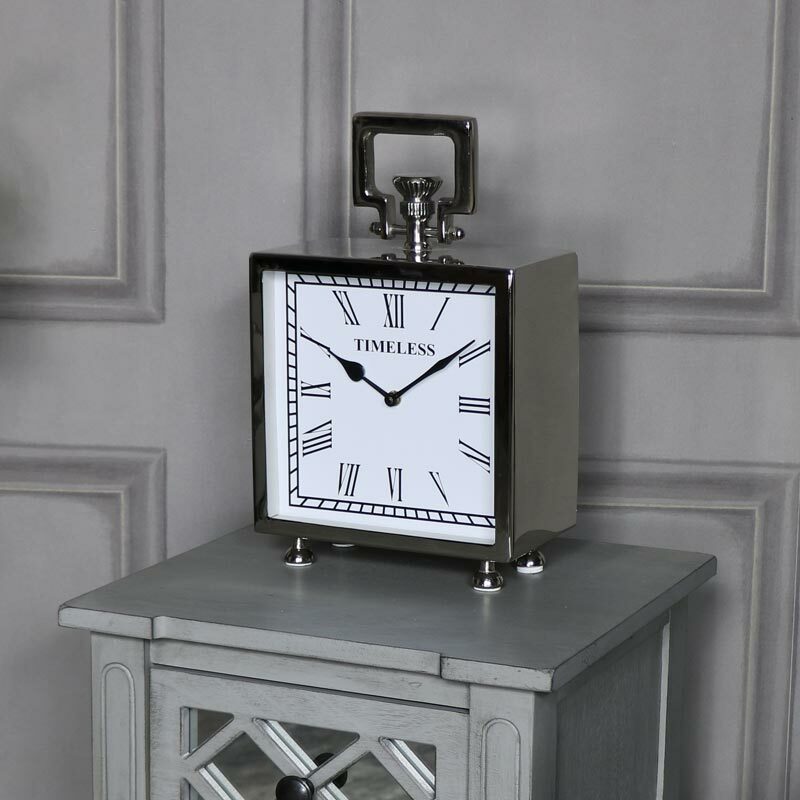 This large mantel clock is a stunning way to add a vintage feel to your home, perfect for sitting on the mantelpiece with bold Roman numerals. 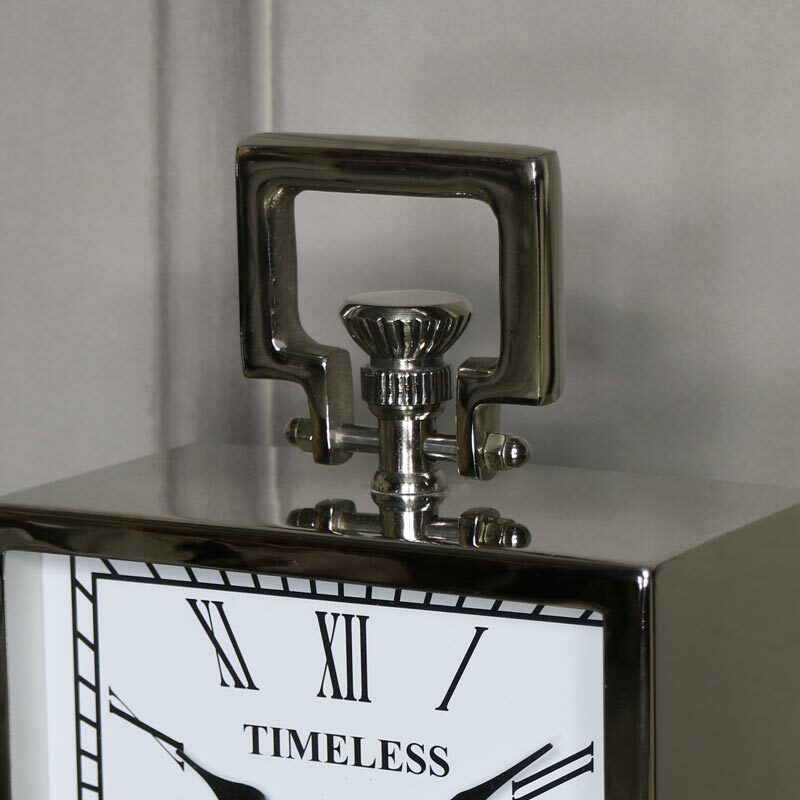 In a clean and sleek finish, the polished silver catches the light and makes a great conversation piece with it's stylish appearance. Square shaped design with fob detail on the top. 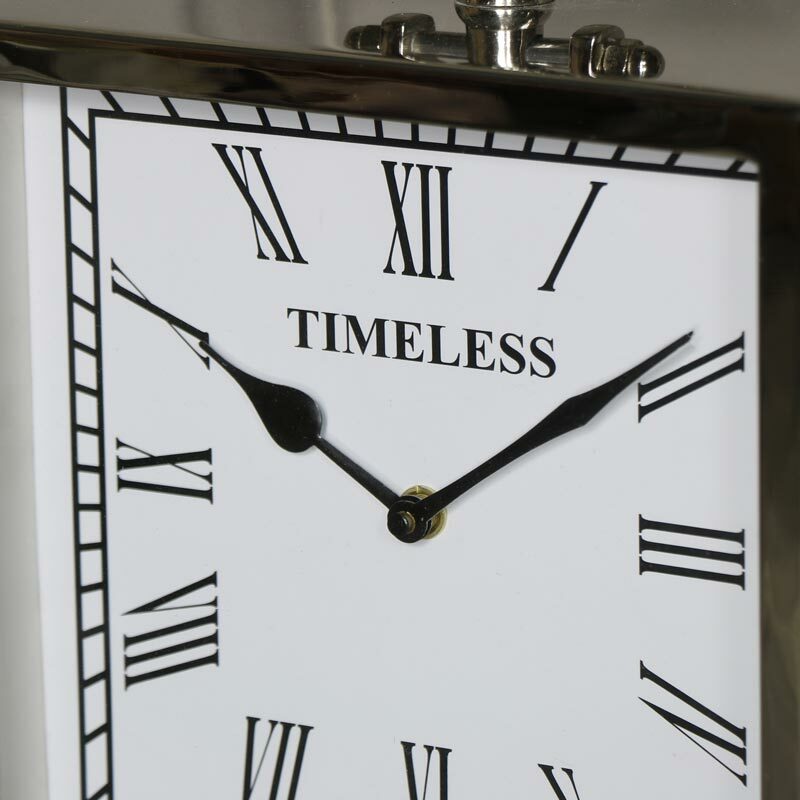 This will make a great gift idea for Father's Day or a thoughtful wedding present. 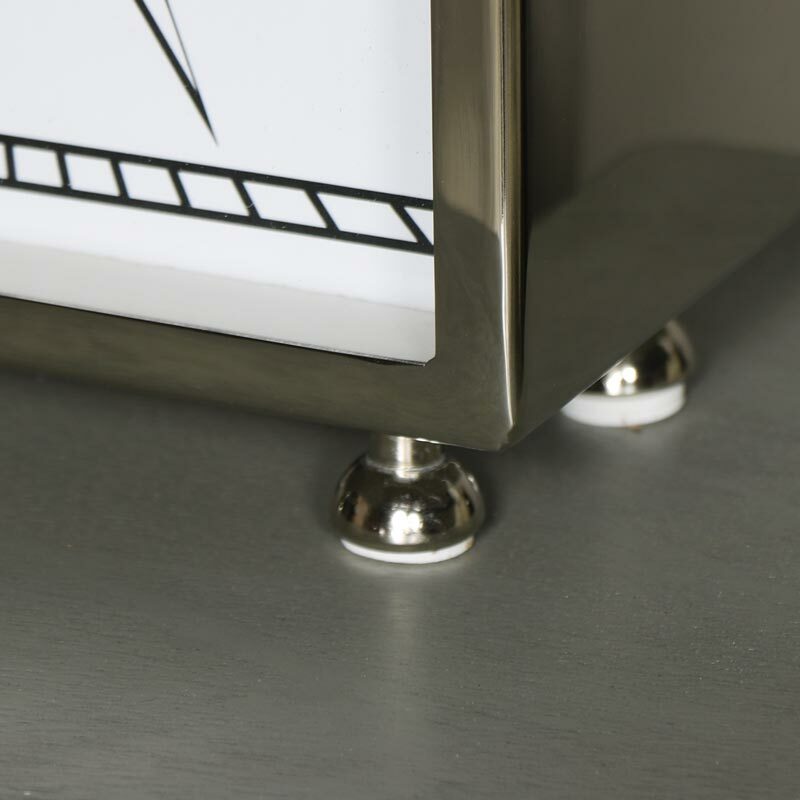 Metal frame made from polished silver nickel. Takes x1 AA battery (not included).